Emma Paul was born in Pendlebury, England, on Feb. 16, 1867. She spent her first nine years in England before her family migrated to Canada in 1876. Her family moved to Oregon in 1877 and settled near Monument in Eastern Oregon. She grew up on the family homestead near Monument. She became acquainted with Robert Russell "Bob" Keys, who was a homesteader near Richmond. Bob was born May 3, 1857, in Johnson County, Tennessee. Bob's original family name was Keyes and apparently was changed to Keys. 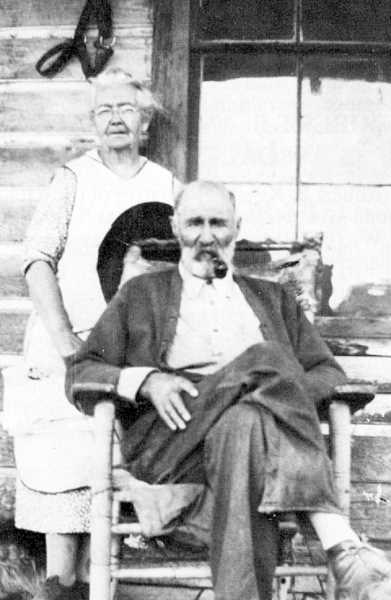 His brother, Zachary Keyes, was the first of the family to settle in what was to become Wheeler County in the 1870s. Young women were often courted by single men of the region as eligible women were a rarity. Bob and Emma developed a romantic relationship, and they were married on July 8, 1891. Emma and Bob had six children who survived childhood and one daughter who died of spinal meningitis. They lived at Bob's homestead near Richmond. They expanded their operation to become a large cattle and sheep ranch that extended on both sides of the John Day River from Service Creek to Twickenham. They hired shearing crews, and Emma cooked meals for the crews. She also handled the domestic affairs of the household. Both Emma and Bob became widely known for their hospitality and willingness to help neighbors. It was common knowledge that no hungry person was ever turned away from the Keys' ranch. The Keys' sheep were summer grazed in the Ochoco mountains and also in the Cascades near Mount Jefferson. Supplies for the ranch were shipped in from The Dalles once a year and later, once a railroad was built to Shaniko, supplies would come from there. Neighbors were the social network for the women living in the isolated region. Emma was active in Eastern Star and in the Methodist Church at both Richmond and Fossil. She was the main one to attend to family health and well-being. Bob passed away on Dec. 18, 1944. Emma lived on for a few more years and passed away in 1949. They are both buried in the Fossil Independent Order of Odd Fellows Cemetery.